Is the Republic of Georgia, and the Caucasus region in general, a part of Europe or a part of Asia? As a means to solve this eternal question, we went to Georgia to examine the debate. For over a hundred years, Caucasians have been plagued by a unique kind of identity politics. Ali and Nino, the most famous novel about the region, is capturing a new generation of adherents through its release in January 2016 as a feature film. The action opens prior to WWI with Ali -- the aristocratic Muslim main character from Azerbaijan -- being instructed by his Tsarist Russian teachers that because the Caucasus belong geographically to both Europe and Asia, Caucasians must exhibit through their actions where they stand. The teacher preaches that the Muslim students should Russify themselves as a means to join modernity; however, Ali rebels by proudly asserting his Muslim and Asian identity. He constantly brags that he loves deserts and hates forests. Later in life, he refuses a promotion that would take him to Paris. Conversely, his Christian Georgian love interest, Nino, aspires to all things European: she revels in the opera, champagne, and fashion. She becomes depressed when secluded in an Iranian harem and vows to never wear the veil. She forces Ali to live in the first house in Baku to have wallpaper and a drawing room. This dilemma persists today. Most Georgians we spoke to passionately aspire to European-ness. Yet, some of the most charming things about the country are its authentic vestiges of Asian-influenced cuisine, music, architecture and strong sense of ethno-religious belonging. On our recent trip to Georgia, we participated in the first international backgammon tournament for journalists, which was sponsored by the gaming group Europe-Bet. As first-time Caucasus visitors, we were largely unschooled in the Europe vs. Asia debate, but were eager to assay Georgian opinion on the issue. We spoke with our hosts from Europe-Bet to understand more about the company and its origins. What we learned is that Europe-Bet originates as an entirely Georgia-based gambling company. The irony, of course, is that the Georgian founders of the site understood that locals would enjoy the experience of feeling like "European gamblers" so much that they named their company to evoke this concept. Furthermore, although the company has recently been purchased by a Swedish firm, we learned that Europe-Bet has no intention of expanding outside of Georgia. This gets into a mindset that is quintessentially Georgian: asserting European-ness is a key aspect of branding and national identity formation - exactly as it was for Nino a hundred years ago! Although most Georgians we came into contact with did not speak English, those who did spoke well and were knowledgeable in English expressions and cultural trends. The youth in particular seemed particularly well versed in western trends. For example, a young Georgian journalist at the tournament was dressed in a sweatshirt that bore the words, "Twerk It," which she explained to my oblivious American boyfriend and coauthor means to 'shake it'. In a football field near our hotel in Tskaltubo, teen boys were playing rugby - quite rare for a non-European, non-Commonwealth country. Alongside the contemporary and on-trend nature of the Georgian youth was the ubiquity of ethnonational Christianity. After Armenia, Georgia had a state conversion in 337AD, and as such was the second country to adopt Christianity as its national religion. The tradition of national piety continues in earnest among Georgians. We were traveling in Georgia just before the Orthodox Easter, and in the days leading up to Easter, the main churches in Tbilisi were so crammed full of people, none of whom were tourists, it was difficult to admire the buildings' interior at ease. We read an article in the local English language newspaper in Tbilisi which cited that 93% of Georgians consider themselves very religious - the second highest proportion of any nation on earth. Since indigenous Christianity is largely associated with Europe, it does not seem a stretch to consider Georgians' religious tradition to be a vote in favor of Georgia being culturally part of Europe. However, the dedication with which Georgians practice their national religion strikes one as more culturally Asian. Georgian Orthodox Christianity is intimately connected with nationalism, identity, and family - the overlap of religion, culture, and nationhood is shared by many of Georgia's Middle Eastern neighbors. We noted that in its Georgian iteration, it carries many positive aspects: a strong sense of community, traditions, a shared identity which unites people, and instills in them a sense of devotion and belonging. As we drove through the countryside, we were struck by an inspiring display of natural beauty. Rolling hills evocative of Scotland featured near the Azeri border, yet while heading West and North massive snow-capped Alp-like mountains can be seen from the highway. Everywhere the bucolic scene was topped with peasants leading sheep alongside the road. Peculiar to Georgia, we witnessed droves of unattended cows crossing the road nonchalantly. The old city sections of Kutaisi and Tbilisi struck us as vaguely Italian in appearance: Mediterranean-looking buildings painted in warm colors, with cobblestone streets throughout. Monasteries with elaborate mediaeval frescos epitomize the monasteries near the ancient capital of Western Georgia, Kutaisi. However, we noted some definitively Middle-Eastern influences to the architecture, for example, wooden arched patios, elaborate stonework, and internal courtyards. Georgian cuisine is highly Asian influenced. Rice and pomegranate seeds feature in many traditional Georgian specialties; Mongolian-style dumplings and Turkish lamb kebab are pub staples. We were treated by our sponsors to several formal Georgian banquets-- always accompanied by singing, dancing, and liters of wine per person. These banqueting experiences were marked by an over-abundance of small plates, sometimes as many as eight dishes per person--an aspect that seems middle-eastern in both its ostentation and its mezze style--counterbalanced with elaborate ritual toasting and speech making, such as is common in Slavic Europe. While we were in Tbilisi, we set out to explore the old city and discovered a rug shop with a stunning collection of competitively priced Central Asian and Caucasian rugs. We spoke at length with the shopkeeper who revealed to us that rug salesmanship is not his primary profession, but rather a hobby based on family tradition - his day job is as a civil engineer. For him, buying and selling rugs was not a means to make money, but rather a way to pass on a cultural tradition that links the Caucasus with Iran and Central Asia. He opined that rugs were an essential element of Caucasian culture. In the end, we purchased a gorgeous Georgian rug from the 1930s. Politically, Georgia can be seen today as striving to be European. Its electorate demands it. In fact, Georgia signed an EU Association Agreement in 2013 - expressing its clear intentions to join the EU. Giorgi Kvirikashvili, of the Georgia Dream Coalition, leads the country's current government. Although decidedly oligarchic and post-Soviet in its economy, the Georgian people expressed via their Rose Revolution in 2003 their desire for free-market capitalism and a European foreign policy orientation. As a result of its Europe-directed foreign policy, Georgia is caught in a web of external threats. In a response to attempts to join NATO, it was invaded in 2008 with its South Ossetian and Abkhazian regions being de facto annexed to Russia. Since then, Georgia continues to host training exercises with the US and UK in May 2016. These steps may be adding fuel to the fire of conflict with Russia. As Georgia grapples with its place in the world, it is pertinent for both Georgians and interested outsiders to ask where it fits in. It seems clear to us from visiting the country that most Georgians envision themselves as European; in fact, we witnessed that both young and old would react with great offense if we asserted that a given aspect of Georgian culture was Asian or Middle Eastern. This powerful cultural leaning translates into concrete foreign policies -- its ties with the West, and discussions of joining the EU. Although some might define Georgia as being a part of Asia, it is also clear that few Georgians have intentions to define themselves that way. 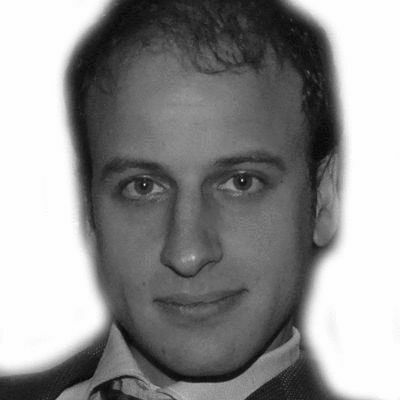 Jason Pack is a researcher of World History at Cambridge University and Founder of EyeonISISinLibya.com. Jennifer Segal is an independent artist and writer living in NYC.